John Cuff as written this article about the trials bantam and very good reading it is take a look. Dave Roland reaches New Heights. 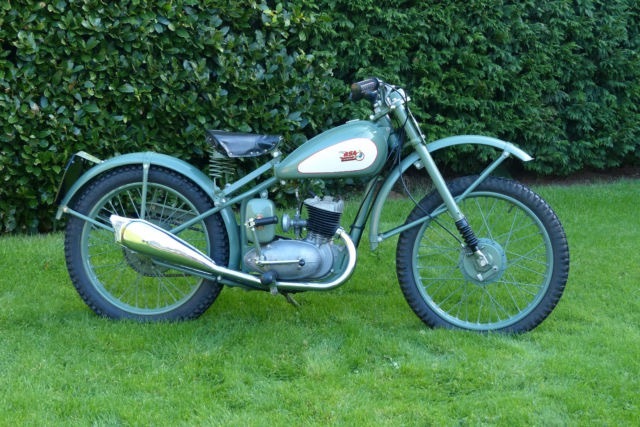 The humble Bantam - clearly derived from the DKW RT125 acquired by the Allies as reparation after WW2 – was first produced as a 125 rigid model (the D1) for “export only” in June ’48, then introduced to the home market at the Earls Court show in Nov ’48. Brits took to it like a duck to water and quickly discovered its off-road potential. Clubmen immediately modified it for trials & urged BSA to build a production model, but management was a bit shy of turning such a humble machine into a competition mount. 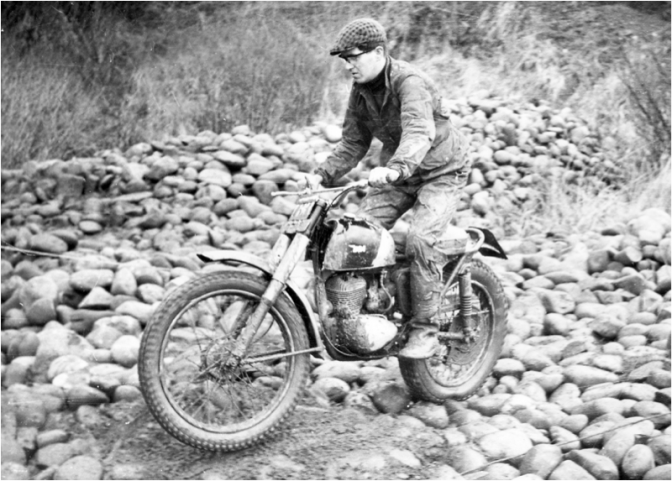 To test the waters they had Bill Nicholson modify one to be ridden by their sidecar ace Harold Tozer as a privateer (solo) in some national trials, followed by a couple of semi-official prototypes which were loaned out for the 1949 Scottish Six Day Trial. 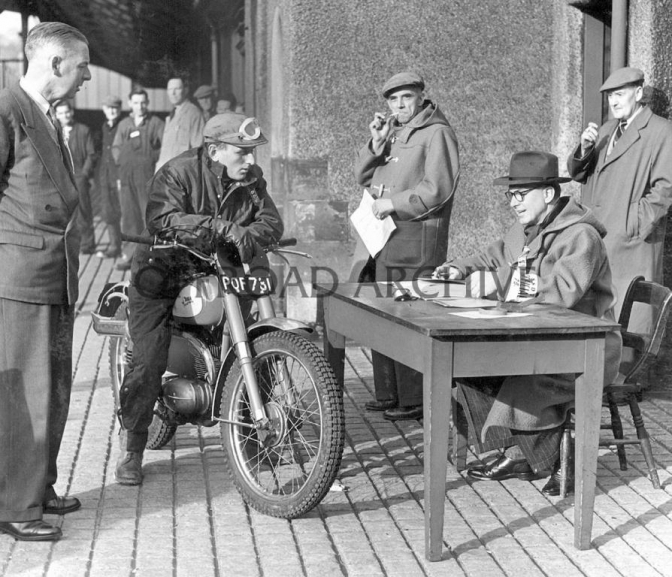 Results were sufficiently encouraging to officially enter factory test rider George Pickering in a national trial & he won the 125 Cup first time out – the Colmore in ’49 – and five more that season. As a result the production D1 Competition rigid model (“with raised seat”!) was unveiled at the 1949 Earls Court Show. In the following 1950 season it was best 125 in nine national trials & enjoyed a six year production run to 1956. Tis The Ex Don Morley- Mole Benn D1 competition BSA Bantam, rumoured to have been used in the 1950 ISDT. (speedtracktales pic). 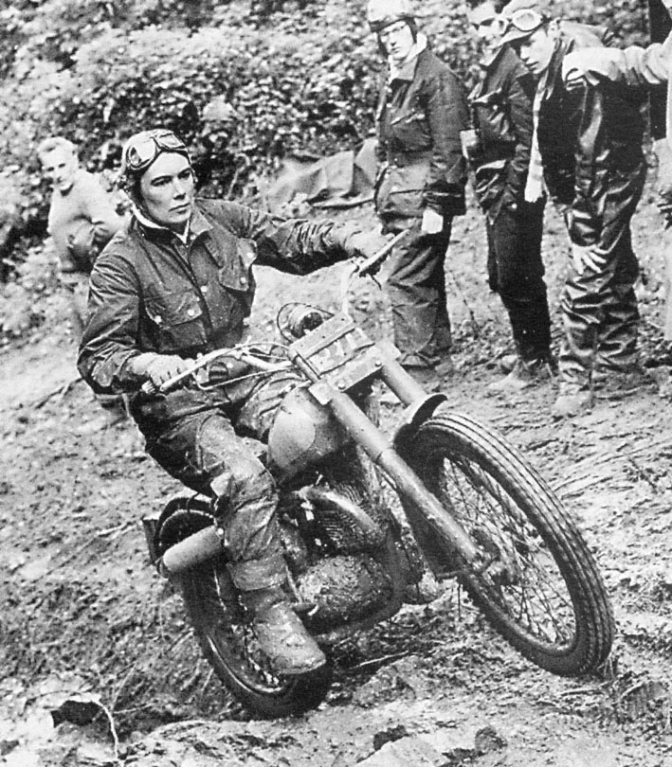 It should have been obvious that a small two-stroke was becoming a force to be reckoned with in trials following Bill Lomas’ outright win in a national event on the 197 James in ’51. So should the fact that the Bantam was eminently suitable. Lomas’ win ‘opened the floodgates’ of two-stroke sales & successes, especially for James, Francis Barnett & then Greeves. But at BSA the Bantam lived in the shadow of the mighty Gold Star so the rise of the two stroke wasn’t so evident to the powers-that-be there. While two-stroke technology was “forging ahead” in Germany, Italy & Japan, the Bantam’s pre-war design had no significant developments for six years. It was ‘cheap and cheerful’ and selling well – just what BSA wanted. Back at DKW, a swingarm model was introduced at the 1950 Milan Show & by ’54 their 125 developed 6.4HP (PS) - a whopping 42% more than the Bantam. Yamaha’s copy, the 125 YA-1 Red Dragonfly, was introduced with four speeds in ’54. Even Harley Davidson turned their DKW-copy, the Hummer, into a 165 by ’53. Eventually the D3 150 Bantam with 5.3bhp and a plunger frame was released in ’54, and said to be “quicker than the average car”, despite a 44lb weight penalty over the D1. It was a modest improvement to keep it in the cheap road tax bracket, & the Competition model continued, in rigid or plunger D3 options, but few were sold. With the development of a swingarm version, BSA showed a bit more interest in trials and persuaded Johnny Draper to ride a prototype fitted with C11G forks in ’55. 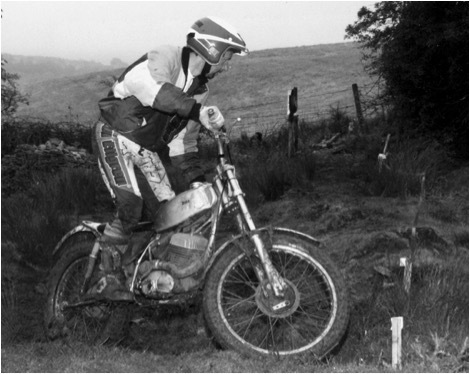 He won the 150cc Cup first time out in the Mitcham Vase, and again in the national Bremrose Trophy Trial, leading up to “the main objective” - the ’56 Scottish Six Day Trial (SSDT). Draper’s performance there exceeded all expectations - he won the 175cc Class Cup & came 6th overall, tied with the soon-to-be legendary Sammy Miller on his Ariel. But still nothing more came of it at the factory. BSA never seemed to take the Bantam seriously. 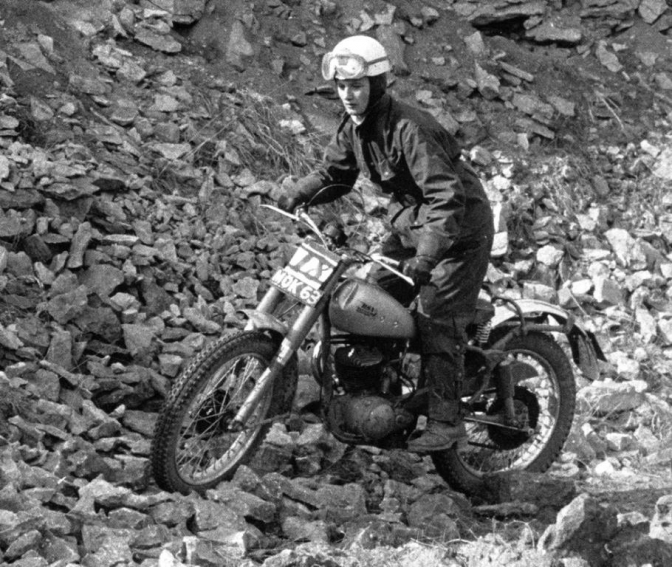 Olga Kevelos did; she bought the bike, and campaigned it as a privateer during ’57 and ‘58. 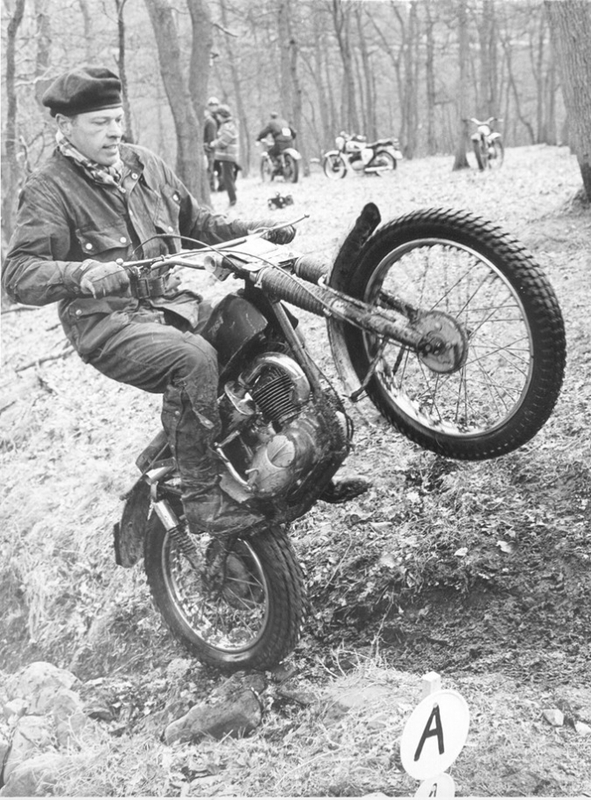 Don Morley noted (in Classic British Two-stroke Trials Bikes), “BSA were still too embroiled in heavyweights to realize, until too late, that in the Bantam there truly was the potential for an ultra-cheap yet…future trials world-beating machine”. Perhaps a little optimistic, but not too unrealistic as later events would prove. BSA kept their faith in the C15T until the arrival of the four speed D10. Until then they had done precious little to develop the little two-stroke despite the writing being on the wall. Two stroke development was progressing rapidly - in other factories – and competition results were going the wrong way for BSA. So were sales. Competitions Manager Brian Martin knew they desperately needed something lighter than the C15T to keep up with the competition and with the advent of the four speed D10 Bantam - 14yrs after DKW developed theirs - he “felt for the first time that the Bantam had true potential as a trials model, capable of taking on the 250 Greeves & Bultaco which had by then started to dominate results.” (Vanhouse, BSA Competition History). So in late ’66 he personally built, developed and rode a prototype based on a Bushman version as a semi-official project. He used C15T forks & seat, Cub swingarm, Victor tank & a specially cut wide ratio four speed gear-set. Apart from the latter almost every component came off the BSA-Triumph parts shelf. 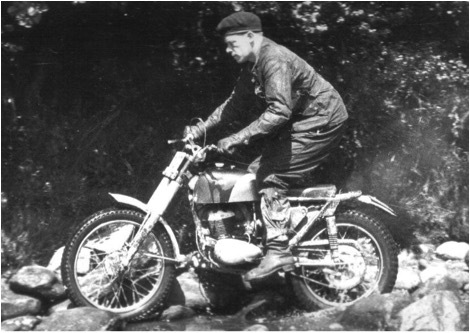 With brother Michael, a two-stroke specialist, preparing the engines at Redditch, he completed the prototype in Dec ’66 & rode it to a promising 2nd place in a local trial; beaten only by the highly respected Ken Sedgely on the avant garde 250 Bultaco. In the new year he & Jeff Smith rode a pair of them to 1st & 2nd class awards in some national trials. By this time Mick Mills & Mick Bowers (BSA Development Dep’t engineers) had also been seconded to the project & in March the latter won the 200 Cup in the Cotswold Cup Trial. Four prototypes were then hastily prepared for the ’67 SSDT (D Langston on a 150cc, & M Bowers, A Morewood & D Rowland on 175s), alongside their regular stars on the factory C15Ts, culminating in Dave Rowland’s sensational 2nd place overall. He was beaten only by the maestro Sammy Miller on the factory Bultaco. The other three riders all won 1st class awards, with Langston being runner up in the 150 Cup to Peter Gaunt on the Suzuki. Those were astounding results for such “speedy development” on the cheap. Bear in mind also that small capacity machines were still disadvantaged in the SSDT then by having to go first. ‘Twas even more impressive when you hear that young Dave Rowland had barely ridden the bike before. According to a conversation he had with Deryk Wylde, BSA notified him that they’d entered him on a Bantam, but since it hadn’t turned up the week before the event he prepared his works C15T to ride. Late Tuesday a crate of parts finally turned up at his home - 300 miles from the trial - & he had to catch the train to Scotland on Thursday! Worse still, it was missing handlebars, seat, mudguards & miscellaneous smaller parts like fuel tap, all of which he had to find and fit. It was so new he had to ream some holes to get bolts to fit. Obviously it had never been assembled before. Imagine how much practice he got on the bike before the event! Dave Rowland also scored outright national wins on it later that year & there was great hope of a production replica but BSA was already in strife & deemed that it wouldn’t sell enough for it to be financially viable. Tragically, with success in their grasp, they disbanded all their works teams instead. The Bantam project, by then potentially the cheapest competitive production trials bike, was effectively still-born. With the booming trials market and the prevailing notion that ‘British is best’, one wonders if BSA hadn’t completely underestimated the patriotic demand for a British model, and the Bantam’s real potential. How many sales could such a bike have taken from the emerging Spanish marques & given BSA a much needed ‘shot in the arm’? Comerfords, the dealer in Surrey committed to the sport, showed much more faith even announcing in Nov ’67 a “first batch of approximately fifty” works replicas based on converted Bushman Bantams. The Martin brothers lobbied BSA management hard to back the Comerfords initiative, and passed on all their info but it all fell on deaf ears. Only one was built (back in the day). Instead, BSA management announced the end of the entire Bantam range. According to Michael Martin, they “didn’t want to relinquish the manufacturing title”. So as if to cut off their noses to spite their faces, “to prevent anyone else taking on the Bantam, management ordered that the tooling be destroyed” (Henshaw, The BSA Bantam Bible). The BSA Board, under the infamous Mr Jofeh - who “had no interest in bikes” - apparently instructed Michael Martin’s boss to cease all Bantam development immediately. But they continued ‘under cover’ in defiance, eventually overcoming most of the Bantam’s limitations with the final B175 model of ’69, and production continued until March ‘71. The Bushman version - which would have been the basis for the trials model - eventually sold 3500 machines on its own, mostly for export. 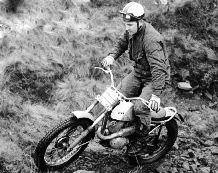 Since Bowers’ bike was modified from his own donor Bushman Bantam, he was allowed to continue competing and developing the bike for several seasons, showing its potential again by winning amongst other things the 151-200 Cup in the ’68 SSDT. 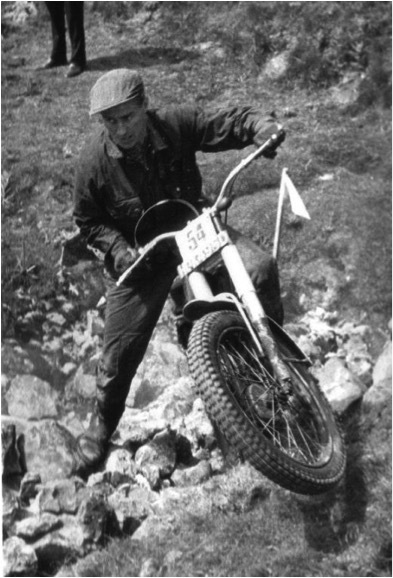 Curiously Jeff Smith also reportedly rode one in the ’69 British Experts Trial. A report on that ride later. 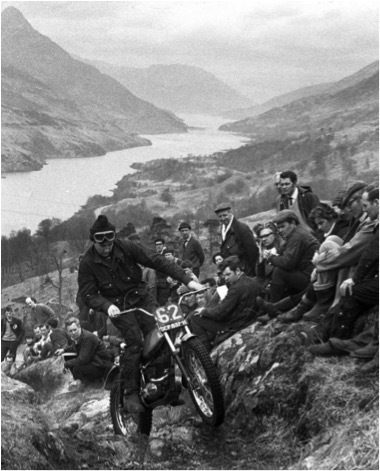 Mick Bowers, SSDT 1970, pic (source unknown). 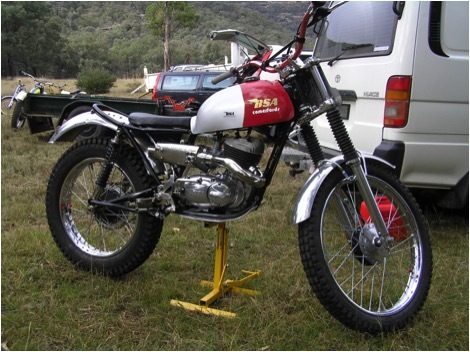 There was said to be “a brand new trials BSA on the drawing board in ‘69” – perhaps the D18 - but the Bantam Trials model remained another ‘coulda, woulda, shoulda’ BSA story. ‘Twas yet another missed opportunity for BSA and the British bike industry. So close, yet so far! But the Bantam is finally having its day in the sun & showing its true colours in the current Classic scene, especially in the UK where it is very popular & widely successful, having been further refined & suitably developed by a clever band of keen enthusiasts supported by a vibrant cottage industry. It’s as if it had to have the last say itself - to strut its stuff and crow how good it could have been if given the opportunity. * The rider reported as winning the 175 Cup in the ’64 Welsh Trophy Trial was T Davies, not to be confused with former BSA factory rider Tony Davis (A Davis) who by then was a factory Greeves rider and recently said (via John Moffat), “I don’t recall ever winning anything on a Bantam”. Oddly enough, Morely reports that Rowland won the 201-250cc Cup. 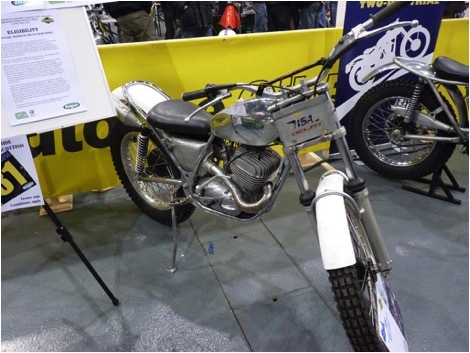 (Miller’s winning Bultaco was 252cc) Was it just a misprint? Or did that indicate its true capacity? Bearing in mind that the first prototype Bantam over 150cc was a long stroke 197cc version (57x72mm), perhaps his ‘175’ had been stroked to over 200cc? More than likely tho’ it was just a misprint. And we know that BSA Management must be up there "turning and squirming". to see what one little company has now done with the little machine. Turning it into an all time Winner. 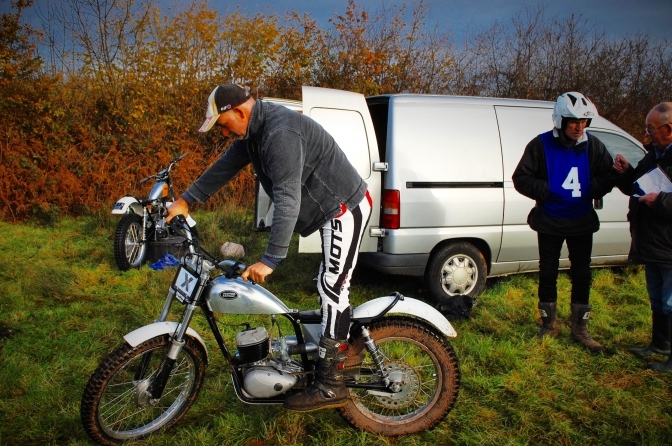 Jim Pickering 's Drayton BSA Bantam.4 you. Update and More photos later.